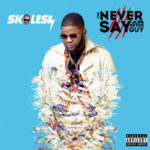 For many who are akin with the music scene in Nigeria, yes, Skales gets away with the title of this album, ‘The Never Say Never Guy,” which purely is based on his sole promise to do music, keep making music and do nothing other than music. He has paid his dues and thus, gets whatever minute fame this album brings him. 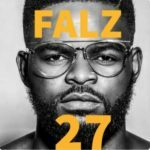 Perhaps, due to the over the board attention and somewhat support millions of fans across the globe have given to artistes when they what they assume is pouring out their soul, or talking about their humble beginning, Skales, decided a brilliant move for his sophomore album; tread this route. 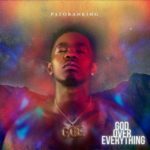 Doing this, added with what can only be tagged pity and not respect from clueless folks out there, he further strained the little credibility built over his over a decade in the industry by employing the likes of Nigerian born-US based singer, Rotimi, PJ Morton, Wande Coal, Tekno, Burnaboy and a host of others on his 19-track album to impart some sheer dopeness for him. His anxiety about acceptability, his career and many other unresolved issues unknowingly embedded in the over an hour long album, which of course was brought to fore with the his sheer knack for mediocre lyrics, unsynchronized rhythm, an entire nation featured and every other obvious flaws taken in as ‘my style’, merely played out like he was having a bit of identity crisis, on the album…safe to say this work of art, playlist or album as he recently called the NEVER SAY NEVER GUY, lacks direction, theme and all together the visible yet unreachable success we all hoped and prayed for, for him. Skales basically went to church for this thanking God for the grace upon his life with such lame lyrics all in a bid to rhyme, but again.. we thank God. One question though, if you had not seen your face on a billboard, means you wouldn’t have believed there infact is really a God up there? The Caribbean tune on this was dope though, it got many swaying left to right. This song basically took me back to Lil Kesh’s ISHE….all together the song just baring a different artiste and beat. Nit much was actually expected on lyrics, but this song does have the potential of becoming a successful track, should it get the level of promotion needed to push it further. The hook o the song had me at the word go… and probably the only thing that did it for me on the record. Nice track though, could work at a dimly lit clubhouse or a party. Skales’ need to have this song on this project, has me wondering how he does come to making really important decision in life generally. Not worth anyone’s time. 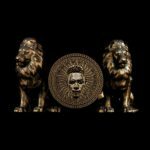 Wande’s comfort zone, still was not having any fun, probably reason he felt no need to do more…understandable as the record itself lacks everything necessary to make a love song, a love song. Decent songs, but his need to follow suit in using words which lack any comprehensive meaning further proves he is scared of coming into his own. Dear Skales, you won’t be getting a ‘Preach on brother’ here as it seems that’s what you are aiming for. We know this, every other artiste have said this in either interviews or their songs, so how about something new or basically just have Timaya do this track all by himself. Beautiful song..both artistes did come through on this love song. Something about this song could have really worked but I couldn’t see past the fact that Skales sems to be either desperate for approval or is just so scared of promoting the African sound. PJ morton of course brought the Maroon 5 vibe truth be told, I thought he was going to start the record by singing ‘Don’t wanna know’. Decent track, beautiful production, but it wouldn’t have hurt if Sales had gotten the worth of his money and even some sort of buzz for having a Maroon 5 member sing on an AFRICAN beat. Same mistake on FEEL GOD. For crying out loud, Rotimi is Nigerian, need I say more. Also, Skales, you speaking Yoruba, is of no use here..even Rotimi speaking like A Nigerian worked better than you a full blown Nigerian, living and working here trying to sound foreign isn’t that just silly? A sure bulletproof melody…love this track. This track has no business being on this album. 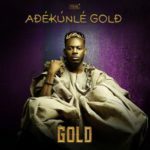 A messy, lame and altogether dead on arrival Yemi Alade kinda track. It sounded like the producer suffered an epileptic attack during production…the beat sounded distorted and unfinished all at the same time. Skales did Tekno a favour here by taking the lead in singing cringe worthy lyrics, but again, no competition whatsoever as far as his album is concerned. 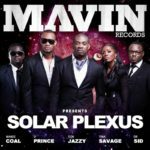 Through the 19 tracks heaped on this project, THE NEVER SAY NEVER GUY , failed to impress even with him flirting with array of styles and personas. He never sounded anything less than comfortable in his own skin/world, even as his managed to swerve completely off the theme of the project I mean, THE NEVER SAY NEVER GUY, someone who has been through it all and still standing, right? So why the need to fill the project with booty clapping, badly told love stories and its like on the album? I would love an answer to this, anyone who has one, should please let me know in the comment section.